Things to do in Holland; attractions in Holland and the best places to visit in Holland. As one of my friends is thinking of visiting the Dutch capital, I decided to have a look online to to get some ideas for her on things to do in Amsterdam. I thought that going on a couple of tours would give her an introduction to the city, and be an opportunity for her to meet some fellow travellers. I saw that Withlocals offered a great selection of tours and activities in Amsterdam e,g. 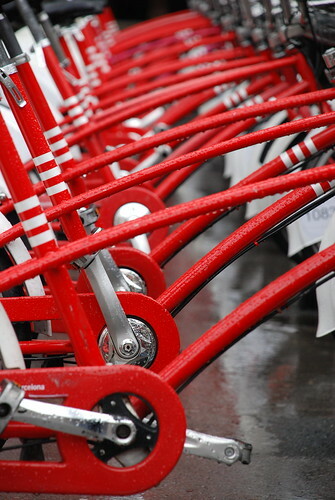 an urban farming bike tour, private vintage shopping and homemade gourmet dinners. Withlocals is an online platform which directly connects travellers and hosts, enabling travellers to book affordable but unique experiences with locals as their private guide. It’s always good to see a city with a local who can offer you their insights into their home town. This helps travellers avoid falling into the tourist traps. I thought that my friend would enjoy tasting some great food on the Amsterdam’s Favourite Food Tour by Withlocals. The tour includes five food tastings per guest. 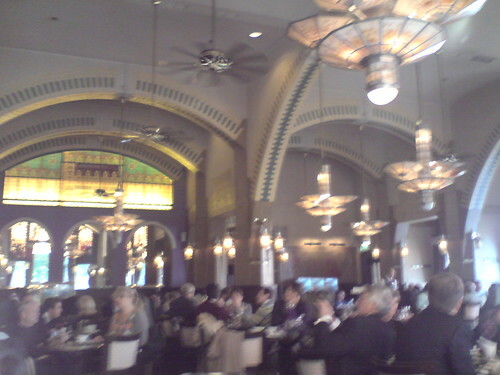 This tour is in the Pijp area, which lies south of Centraal Station. Below is a guide to the itinerary, but the tours can be personalised to suit your preferences. The first tasting is at the best fish seller in Amsterdam for a piece of delicious Kibbeling (fresh, fried fish usually served with garlic mayonnaise or tartar sauce) or authentic herring (often served with a sprinkling of raw onion). Next it’s a visit to Cuyp Market, which is the largest daily outdoor market in Europe. Started in the early 1900s, it is now home to over 300 stails, where you can buy everything from food to souvenirs. The next food on the itinerary is a warm Stroopwafel (syrup waffle). This consists of two thin layers of baked batter with a sweet filling between the layers. The Stroopwafel originated in the Dutch city of Gouda. Then it’s time for a relaxing drink at a new Collective Cafe, where rather than items being priced, you can pay what you feel the food and drink is worth. This is a walk around the Pijp area, which is now considered pretty hip.The area was originally built in the 19th century to provide low cost housing for the ever increasing population. The southern part of Pijp, which includes the Diamond neighbourhood, was constructed later, in the 1920s. Several of the streets are named in honour of Dutch painters including Van Gogh, Ruysdael and Jan Stein. The Dutch artist Piet Mondriaan lived in the area.There’s a small red light district by the Ruysdaelkade canal. Next you will tuck into a Telo Kabeljauw (fried cassava with salted cod) and Baka Bana (fried plantain served with peanut sauce) at a Surinamese-Javanese family owned restaurant. Your tour is rounded off with a cheese platter at the Gollem beer-cafe. Holland is famous for it cheeses, such as Edam, Leerdammer and Massdam. You may also be tempted to purchase one of Cafe Gollem’s own ales to accompany your cheeses. As you can see, Amsterdam’s food is very cosmopolitan, with influences from many different cultures. You can choose which private guide you would like to lead your Amsterdam’s Favourite Food Tour. Olav, pictured below, is described as a rock star chef, who is also a biologist. Other guides include Bauke, the bohemian historian, Erika, the storytelling jeweller and Dina, the joyful chef. Each of the guides is featured in a video, which you can watch to help decide which one you’d like to lead your tour. I think that my friend would select Erika, as she loves custom made jewellery. Amsterdam’s Favourite Food Tour can be personalised to your own taste and interests. It costs from 35 Euro per person with eight participants, 44 Euro for four and 60 Euro for two. You can select a day (the tour is not available on Sundays) and start time from 10am through to 3pm. This entry was posted in Holland on July 14, 2017 by Karen Bryan. Here are our travel tips for ten things to do in Amsterdam that will ensure you have a great experience. A classic Amsterdam experience is to cruise the canals. From boat level you get a fascinating view of the city. Art lovers will marvel at the Van Gogh Museum in Amsterdam, which has the largest collection anywhere of Van Gogh works – and apparently it’s the most visited museum in the entire Netherlands. 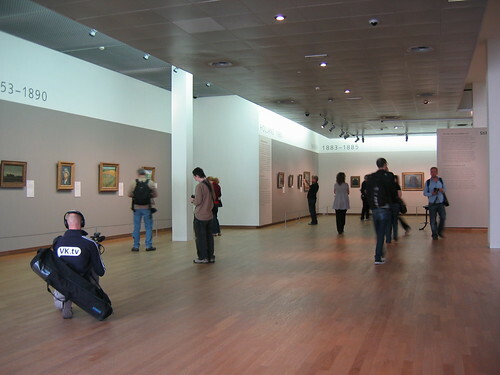 Next door to the Van Gogh Museum is another popular Amsterdam sight, the Rijksmuseum. It’s a national museum of art and history and includes a large collection of works by Rembrandt. Amsterdam is home to one of my all-time favourite museums, the Anne Frank House. For anyone who has read The Diary of Anne Frank, it’s fascinating to see the very building where it all took place and to see one of Anne’s actual diaries. If you require transport when visiting the city, either to or from the airport, or to get between the sites, book a taxi in Amsterdam. 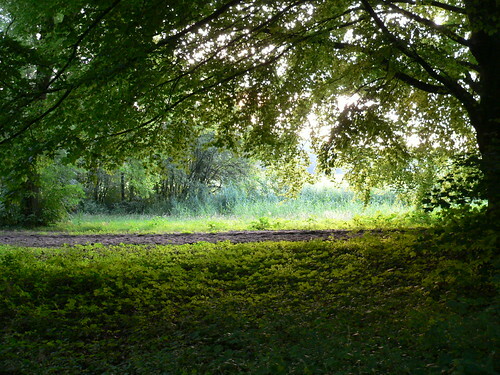 To get into nature in Amsterdam, head to the Amsterdam Bos a forest area within reach of the city and a great place for cycling. Out of pure curiosity, a stroll through the famous Red Light District of Amsterdam (especially during the day) is interesting and harmless. Amsterdam’s cafes have a certain reputation but if you’re looking for somewhere simply for a great cup of coffee and excellent atmosphere Cafe Americain is the place to go. Of course you’ll want to see some tulips while in Amsterdam – head for the floating Bloemenmarkt in the southern canals – and can buy some seeds to grow your own too. 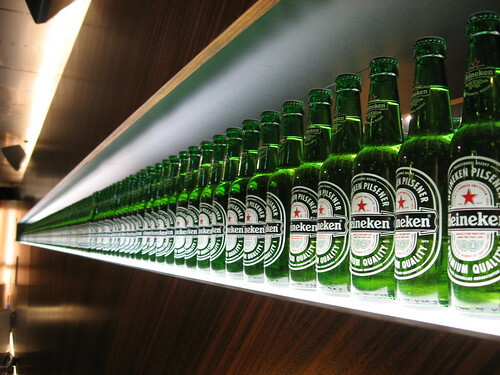 Beer lovers will find the Heineken Experience, incorporating the brewery and exhibition, a must do tour on a visit to Amsterdam. A couple of beers are included in the entry price. 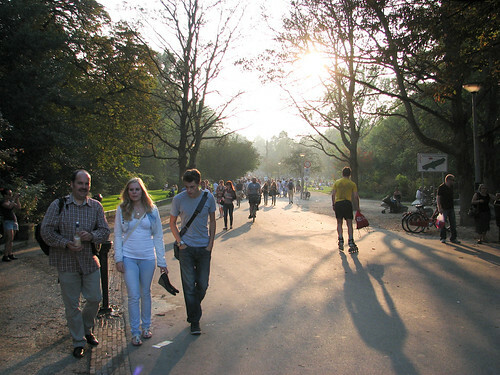 The Amsterdam equivalent of New York’s Central Park, Vondelpark is a great place to head when the sun comes out. The park includes an outdoor cinema and a film museum. This entry was posted in Holland and tagged Amsterdam on April 11, 2012 by Amanda Kendle. For a small country, the Netherlands, often (incorrectlly) known as Holland,Â has many features which are well-known throughout the world: tulips, windmills and cheeses, just to name a few, and not to mention one of the most famous capital cities in the world in Amsterdam. It’s a great place to travel because everything is nearby and the public transport is great, too – or if you’re more energetic, cycling around is very practical. Here are our travel tips for 25 things to do in the Netherlands to inspire you to plan a Dutch holiday soon. One of my all-time highlights in the Netherlands was visiting the Keukenhof Gardens near Lisse. This vast area is planted with a spectacular array of tulips and other flowers and is only open for a couple of months each year (around March to May) but I would argue it is well worth timing your travels to catch it. 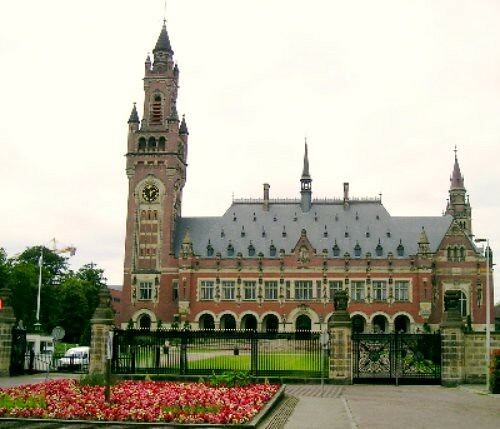 This entry was posted in Holland, Travel Tips on February 2, 2012 by Amanda Kendle. Amsterdam is host to so many events that it seems there is a celebration for every occasion and every interest. Some are old traditions, some more recently inaugurated, but any time of the year you are sure to catch at least one of these Amsterdam events. If you plan to visit this summer, donâ€™t miss the Grachtenfestival (Canal Festival) happening for nine days in August, when more than 70 classical music concerts will be performed in various outstanding venues around the city. From private gardens and rooftops to well known spots such as the Anne Frank House and the Westerkerk, it culminates on a huge pontoon stage in front of the Pulitzer Hotel. Boats pack the canals and spectators line the banks and bridges of the canals to listen to the fabulous open-air performances by Europeâ€™s best musicians. Grachtenfestival also encourages new talent, with some of the biggest stars offering help and advice to young performers. This entry was posted in Events in Europe, Holland on October 27, 2011 by Jessica Festa. Best New Yearâ€™s Fireworks in Europe? I’m sure everyone will have their vote for the best New Year’s fireworks in Europe. Â Some may vote Edinburgh, with their huge Hogmanay festival (complete with excessive drinking and also-excessive cold temperatures). Â Others might say London, who’s fireworks display is a big and impressive as the city’s skyline. But my vote has to go for Amsterdam. Â Here’s why. The food and drink starts mid-afternoon, but during the day you’ll notice a boom, a whizz, and a bang now and then. Â TheÂ uninitiatedÂ might assume it’s just all some fun and games before a bigger celebration happens in the evening. 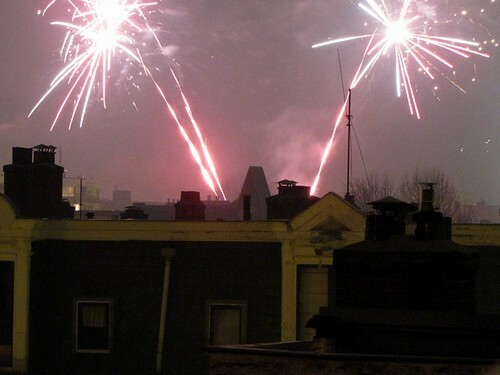 The thing is, though, Amsterdam doesn’t really have one big massive fireworks display. Â People run amok in the streets lighting their own fireworks. Â As you can see from the photo above, I’m not talking about sparklers or a small firecracker. Â I’m talking about a hot flame that goes screaming by your face as you dive to the ground, since not everyone has very good aim. Things turn in to pandemonium come midnight, as fireworks are launched from nearly every direction, and the sound competes for the dazzling lights display that seems to show up the next direction. It is crazy. Â It is perhaps slightly scary. Â But it is Amsterdam on New Year’s Eve, and it has to be the best new year’s eve in Europe. Â Ever. It’s worth battling a hangover to go for a wee stroll on January 1st, early in the AM. Â That’s because you can see the aftermath – the city is silent, and covered from one end to the other with leftover firework. Â It’s interesting. Also very interesting – look at the cars. Â You’ll notice all the fogged up windows – people are sleeping in them! Â I’ve been in Amsterdam for several New Year’s, and every time this was the same, and I can’t say I explain it – it’s mostly French and Germans looking to save money on a hotel for the night. Â But I can’t explain why there are so many – they’re everywhere. Â Must be a rough drive home the next day. What’s your favourite New Year’s event in Europe? This entry was posted in Holland and tagged Amsterdam on December 31, 2010 by Andy Hayes. Delft is a beautiful Dutch city located in between Rotterdam and The Hague in the Netherlands. Well known for theÂ Delft Blue Pottery, this small city has a typically Dutch city center lined byÂ gorgeous canals. The city of Delft has a history dating back to more than 750 years, its name derived from the word “delven” in Dutch meaning to dig. Delft has a good connectivity by road and rail with the other major cities in the Netherlands and the Amsterdam Schipol airport is just 45 minutes away. Most of the Delft attractions are concentrated in and around the city center and it is best to walk along the narrow winding paths. Just keep an eye on the traffic. Start with the Oude Kerk (Old Church) situated on Heilige Geestkerkhof 25. As the name indicates, this is the oldest church in Delft, built in the 13th century. Originally known as the St Hippolyte Church, it was the highest building of its time,Â characterizedÂ by the 5 spires.Â The famous Dutch Baroque painter Johan Vermeer is buried here. The Markt Square contains the Nieuwe Kerk (New Church) built in the 15th century. The church is important since it houses the royal burial chamber. Prince William of Orange (Willem van Oranje) was the first royal to be buried here after being shot in 1584. Since then, the tradition continues. The Stadhuis (City Hall) is also situated in the Markt Square, just opposite the Nieuwe Kerk. It was rebuilt in the 17th century after a fire destroyed the building. The city is also home to the Delft Technical University (TU Delft), one of the three universities of technology in the Netherlands. Just behind the university, in Julianalaan, lies the Botanical Garden. Enjoy the rich plant life including tropical, sub tropical, and ornamental plants and herbs in this beautiful green area. Another one of the things to do in Delft is a trawl around the traditional open markets held in the city center, every Thursdays and Saturdays. Shop till your heart’s content, the next great bargain may be just round the corner! This entry was posted in Holland on October 26, 2010 by arwa. This weekend it was sunny and bright in the Netherlands – the perfect time to visit the Zandvoort beach. Situated in the province of North Holland, Zandvoort is famous for its Circuit Zandvoort (automobile racing circuit) besides being one of the major coastal resorts in the Netherlands. The west facing beach of Zandvoort is quite wide and clear. The sparkling blue waters appear inviting and you can see kids playing alongside the beach, with their castle-bucket sets. A number ofÂ water sportsÂ includingÂ kite surfingÂ and wind surfing are quite popular here during the Spring and the Summer. This Dutch beach has ample amount of parking space, with affordable parking rates of around â‚¬1.8 per hour, but on hot days it is advisable to use the public transportation instead because of the frequent traffic jams. A number of cafes in and around the beach cater to the taste buds of the tourists and locals alike, dishing out delicious Dutch snacks, not to forget the frites. Situated about 25 kms from the city of Amsterdam, the Zandvoort beach has a peculiar landscape bordered by coastal dunes, making cycling and walking some of the other popular activities here. Scheveningen beach in the Hague is another place worth visiting on a sunny weekend.Â Have you visited any Dutch beaches? This entry was posted in Holland on October 12, 2010 by arwa. it’s what locals do. Ayou want the real deal,eh? The thing is, people are always asking me for Amsterdam travel tips on how to get around without being hit by a car. Â It’s a valid question – though, I must disclose, I have been hit by a car. Â So, please take my Amsterdam cycling tips with a grain of salt. Â I actually have just three tips that should help. Confidence Wins: Consider that shy, uneasy driver in the midst of a big city. Â Often, they cause a menace to themselves, and the same is true here. Â When it says green, GO. Â Signal your turn and then turn, don’t hesitate and watch someone come flying around you. Don’t Violate the Rules (unlike the locals): Â Locals will go against traffic, will dart in front of trams, and run red lights. Â Don’t do this. Â It is an art and a science to know what rules can be violated, and what ones will get you run over. Â So, don’t do as the Romans do…. This entry was posted in Holland on October 8, 2010 by Andy Hayes. Having lived in the Netherlands for quite some time now, and having visited its various tourist and the not-so-tourist destinations, my love for this beautiful country increases with every passing day. The Netherlands is a small cosy country – a few hundred kilometers across the East-West and the North-South. You can pretty much drive through the entire country in under 3 hours. Not only the big cities likeÂ Amsterdam,Â Rotterdam, andÂ The Hague feature plenty of sightseeing opportunities but theÂ small villages and cities also provide wonderful insights into the Dutch culture and the way of life here. The weather though unpredictable at times, offers a plethora of possibilities in terms of events and activities heldÂ throughoutÂ the year. The summer in the Netherlands witnesses the country hosting some of the biggest European festivals including the Rotterdam Summer Festival and the Deventer Book Market. Skiing, snow-boarding, ice skating are just some of the activities in vogue during the winters. If there was just one reason to love the Netherlands, it would be this – theÂ mesmerizingÂ and delightful tulips in full blossom during the spring season. These lovely bulbs showcase all theÂ colorsÂ of life. My cycle trip across the tulip fields earlier this year, is full of such find memories. The boat rides through the narrow countryside canals as well as cruise trips across the Maas river render a surreal charm to these low lands. Come rain, wind, snow or storm, the Dutch cycle their way to work/school/fun and living in the Netherlands, I have developed a liking for the bicycle too – the preferred mode of transportation in this fascinating country. The country also has a lively art and culture scene, with some wonderful museums and unique architecture. And lastly, at the risk of sounding clichÃ©, I want to add that I simply love the various kinds ofÂ Dutch cheese on offer here. Have you ever visited the Netherlands? What do you think are the best things to do in Holland? Share your views in the comment section below. This entry was posted in European Culture, Holland on September 28, 2010 by arwa.